Home > Customer Reviews > Friendly Service! 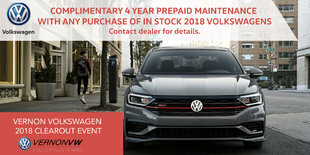 Never a bad thing to say about all the staff, they are always warm and welcoming :) Yet again, this is one of the reasons I own 2 Volkswagens and as I have said before, I have been coast to coast and Vernon VW has the best quality of service and you can expect smiles every time. They go out of their way to help. Great job as always, guys and gals!